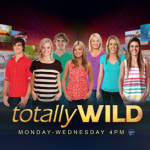 Home » Australia: Meet Patrick, the oldest and biggest wombat in the world! 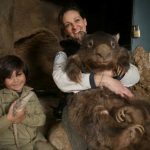 A zookeeper had her hands full on Wednesday tending to what is believed to be the world’s “oldest” and “biggest” Wombat in captivity at the Ballarat Wildlife Park in Victoria. The wombat, known as Patrick, was hand-raised after being orphaned as a baby and sadly remains a virgin.